Through the month of November you’ve been showing your charitable side, with 70,000 people chucking Bonds, coins, and items in to the Well of Goodwill. The well closed on 30th November, so are you wanting to hear how much was raised in aid of three awesome charities?Over 512 billion gold was donated throughout November, and alongside the money raised from Bond donations and tunic sales you've raised an astounding $160,158, that is to be sent to AbleGamers, DonateGames, and YoungMinds as your representative. 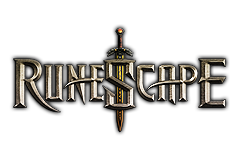 Since its launch last October, RuneScape players have donated over 1 trillion gold on the Well of Goodwill. We’d want to say a tremendous thank you from everyone here - and from your friends at AbleGamers, DonateGames and YoungMinds - for ones generosity. In case you’d prefer to determine a little more about these amazing charities and ways in which they will use your donations, examine the main Well of Goodwill post.If you’re still feeling charitable why not help throughout December? You can create donations to Oxfam - another extremely worthwhile cause. Find Thorvar Crittersmash close to the Lumbridge, Edgeville, Burthorpe or Prifddinas lodestones to give him Bonds, which he'll almost certainly roll up as a gift and send to Oxfam. All proceeds from the donation goes to Oxfam to back up the excellent work they do.